I did meet some amazing people though including Emma Sophina. Emma told me one of the most incredible stories i’ve ever heard. On January 15th of 2009, Emma actually survived a plane crash! You would have heard of the plane that crashed into the Hudson River in earlier 2009 ? Well Emma it turns out was on that plane! 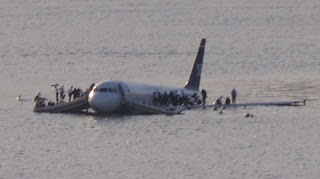 Along with 155 other passengers who were on their way to Charlotte, North Carolina, US Airways Flight 1549 dropped from the skies and miraculously landed safely on New York’s Hudson River. Now if that’s not incredible enough, Emma decided to stick around and sing a few songs with me (let me tell you her voice is absolutely amazing!) 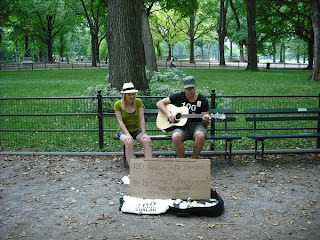 and just quietly, the crowd which suddenly surrounded us donated more money in two songs songs than I had all day! - Being invited into a private venue to sing to a Bride to be at her hen’s night.